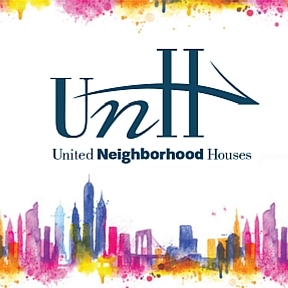 Capalino+Company is proud to support United Neighborhood Houses of New York (UNH) which hosted its annual benefit on October 27 to honor executives and leaders of nonprofits and social services who have made a difference in their community. The celebration, which took place at Tribeca 360, honored Nancy Wackstein, former Executive Director of United Neighborhood Houses. BNY Mellon, a corporation that plays an active role on the board, was also recognized for its commitment to communities and philanthropy. David Garza, Executive Director of Henry Street Settlement, served as Master of Ceremonies. Top leaders of nonprofits were in attendance, including HRA Commissioner Steven Banks, Deputy Mayor Richard Buery, DYCD Commissioner Bill Chong, among others. Nancy Wackstein, who has had an impressive career in the nonprofit sector for over three decades having been appointed to various advisory commissions and policy task forces by a series of New York City Mayors, recently stepped down as Executive Director of UNH, a position she held since 2002. Susan Stamler, who took over the reins of UNH on October 26, 2015, delivered a heartfelt tribute to Nancy recognizing her hard work and leadership throughout her career. To learn more, read Read Nancy Wackstein’s biography. Susan joins UNH from M+R Strategic Services where she managed a national juvenile justice campaign. She previously served as UNH’s Director of Policy & Advocacy from 2001 to 2010. Read Susan Stamler’s bio. Winners of the 2015 DYCD Step it Up competition, BronxWorks’ very own Classic Steppers, treated us to a performance. As a membership organization of 38 settlement houses and community centers in New York City, UNH promotes and strengthens the neighborhood-based, multi-service approach to improving the lives of New Yorkers in need. UNH supports its members through policy development, advocacy and capacity-building activities.